This is going to be big. It&apos;s really the ULTIMATE holiday giveaway. 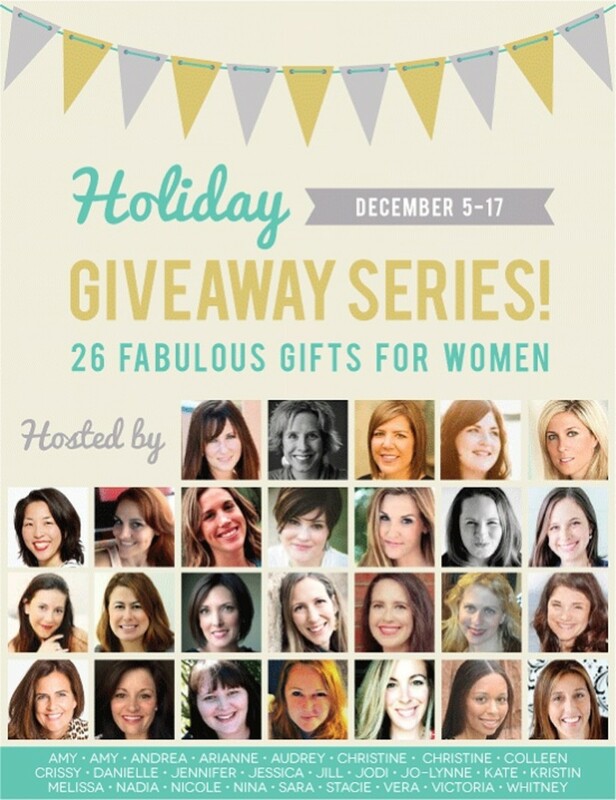 I&apos;m teaming up with these fabulous bloggers to ring in the season with a HUGE giveaway package. Dozens of your favorite lifestyle bloggers are teaming up to spread holiday cheer! Enter here and then click away and enter ALL the giveaways. This ultimate holiday giveaway will run December 5-17. Good luck everyone! 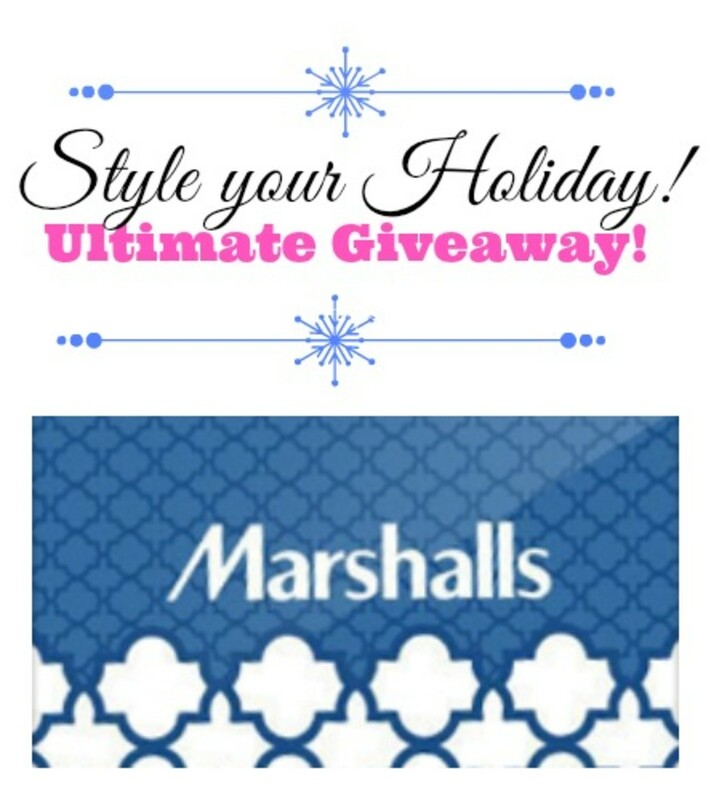 What I&apos;m giving: $50 Marshall&apos;s Gift Card. Here&apos;s who in: The Mom Creative/$75 Lisa Leonard Designs gift card, Momtrends/$50 Marshall&apos;s gift card, Child Mode, ExtraordinaryMommy, Mom Generations, AccordingToNina/ Le Creuset Casserole Dish, Boston Mamas/$100 GC Banana Republic, Lady and the Blog/$50 Home Goods Gift Card, Mommies with Style/$100 Gap Gift Card & Vaseline Spray & Go Prize Pack, MomSpark.net/$50 Old Navy, Mom&apos;s Favorite Stuff / $60+ Origami Owl necklace, Musings of a Housewife/GC to Studio Jewel, Classy Mommy, Married My Sugar Daddy- $50 AMEX giftcard, The Staten Island Family-$50 Amex giftcard, The Shopping Mama / PPB bag, Mabel + Riv / Gussy Sews gift card, Veep Veep, From Dates to Diapers/Keurig Machine & Lipton K-Cups (Retail value: $205), Dear Crissy, BonBon Rose Girls/$100 Boden gift card, Teachmama/$100 Towne & Reese giftcertif, Savvy Mommy, Mom Endeavors/ Project Life Kit Package, MommyBKnowsBest, Glamamom/$75 Lululemon Gift Card & $100 Aveeno Gift Basket, The Divine Miss Mommy, Savvy Sassy Moms. This is a sponsored post. Momtrends giveaways are open only to individuals who are legal residents of the fifty (50) United States (including the District of Columbia) and are 18 years of age or older. Employees of Momtrends LLC and household members are not eligible. All U.S., federal, state and local and municipal laws and regulations apply.